According to recent studies, reducing debt is a goal for many Americans, regardless of how much they owe. Paying down debt not only makes good financial sense; it can have a wider impact as well.. The information I’m sending this month outlines seven reasons to reduce debt. 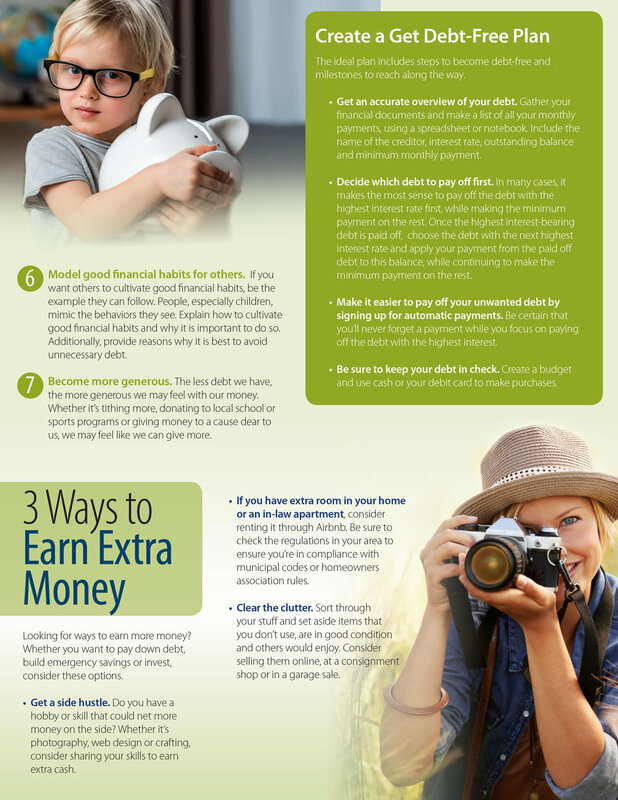 The reasons range from the reduction of your monthly expenses and improving your long-term financial security to minimizing stress and modeling good financial habits for children and others seeking debt-free lives. If you’re already debt-free, the piece will reinforce the tremendous benefits of maintaining your lifestyle. If you’d like to reach zero debt, page two provides several tips to help you on your journey toward your goal.